Before we begin dear friends – I apologize for the over-use of pictures, it is for memories sake after all! Don’t give up on your browser. .And secondly, you can cry if you need to. I did, and I won’t apologize for it! If there is anything built up in your life that makes you angry or heart-sore as you read, just let it out. Please. Ok, now read on and I am sorry about the length! I think nothing makes Heaven seem as sweet or as real as imagining it for someone we love. Although I do think about the shortness of life quite a bit, I have not spent much time imagining it for myself 0ther than that it will be better than here. I also think that Heaven is not about how fast we get there, or what route we take, but about who we bring along the way. Well dear friends, today my family will lay to rest a matriarch – in the truest sense of the word – knowing that she is already resting in Heaven as I write, and has brought many with her along the way. 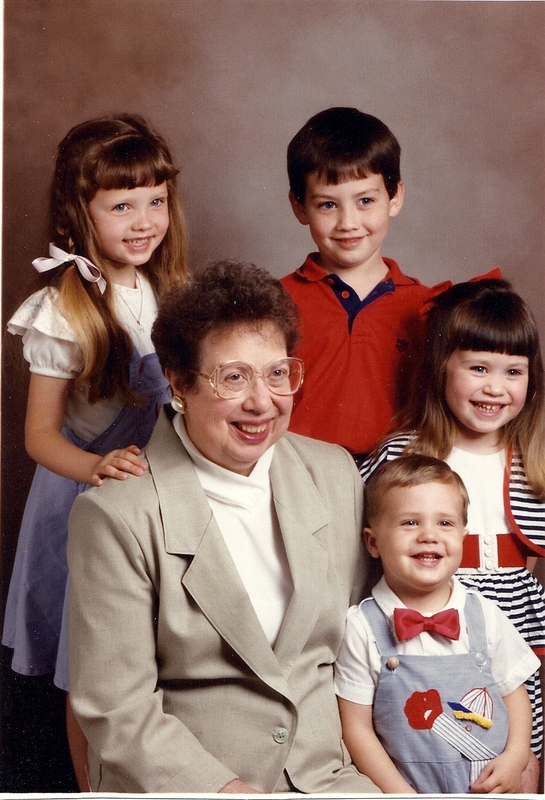 I am here in Florida, and cannot be with my family today as they share together my grandmother’s memories in Iowa, so I take to the page to reflect on the amazing legacy of a grandparent – perhaps the grandest title one can achieve for many reasons. Not quite…but the sentiment is right. Grandparents seem to be able to love their gand-kids generation (not all legacy’s are left by blood) with a special kind of un-presuming love that refelcts Jesus in a tangible way. Parents have to take their kids a little more personally, because of course they are trying to live up to their parents before them. Your kids are a direct reflection back on you all the time -and that mixes a little pressure into the love sometimes! so they just get to love. They love reliving those first-times as little ones discover the world, the can really imagine what the future holds having seen their own kids gone on before. 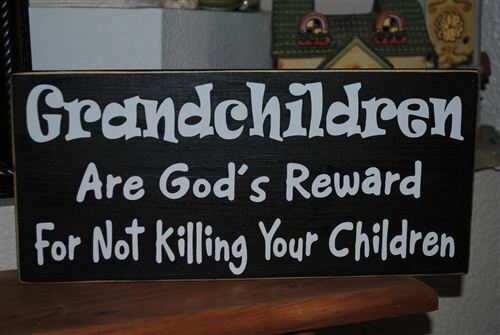 And for this reason, I wish that we Grandkids would take our roles a little more seriously. 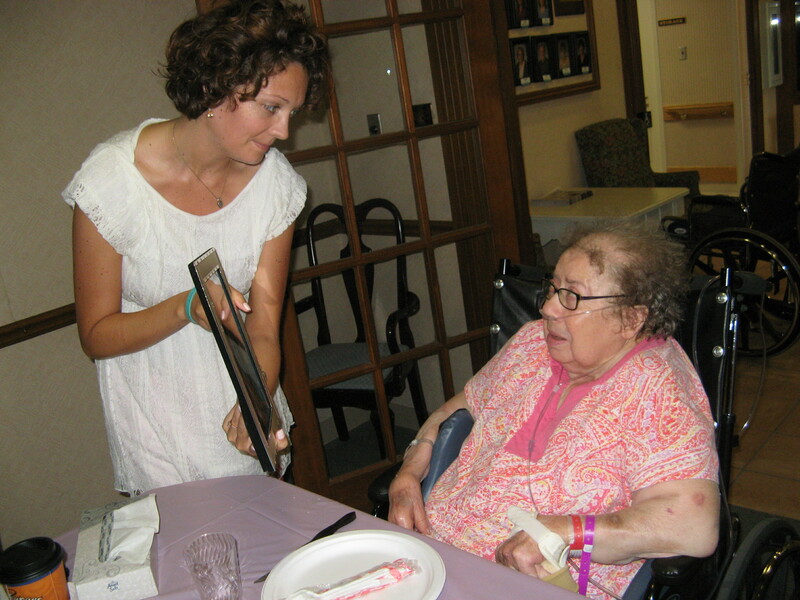 We DO reflect our grandparents, we ARE their legacy if we allow ourselves to be. 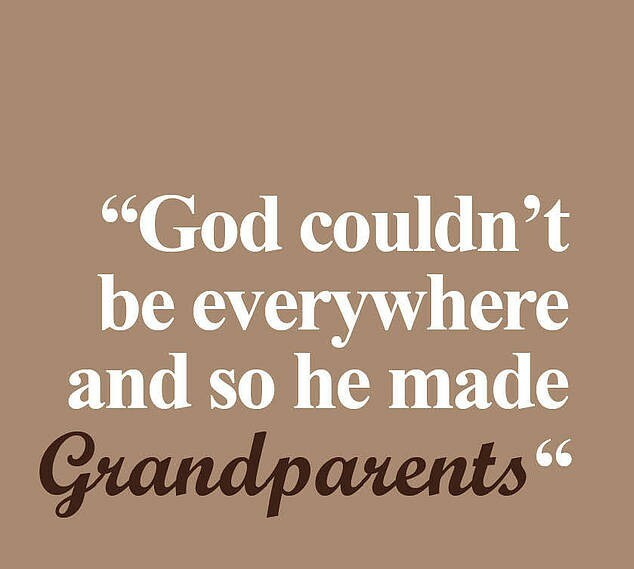 Now I was ridiculously blessed to have two very loving sets of grandparents growing up, my paternal grandfather is still with us and well Praise the Lord. However, it is only now as I’ve gotten older, as life is slowing me down, that I can truly appreciate what our grandparents can leave to us, and I know there are many of you who have been brought up by grandparents and had the ability to see that early on. She started a Library. Yes she sure did, back in her small town in Oklahoma when my dad was boy. They didn’t have one, so she went door to door, wrangled up ladies and books, and started a lending library that she later ran for years. Eventually when they all moved east, she took her skills to the public libary in Dubuque and had a long history of instilling reading and the dewy-decimal system in children. I have many books as gifts from her, all inscribed with love. She was a barrel racer! Now I ride, and love horses, but I have never torn down a row of barrels on a sliding stallion going 40 – that’s like sky-diving without the tandem. Aside from the equestrian affinity we obviously share, Grandmother wasn’t afraid to do things. So many people just think, and never do, and Wanda Reynolds was someone who had the get-up-and-go to make things happen. May that always inspire me. She was a devoted wife – who wore green! 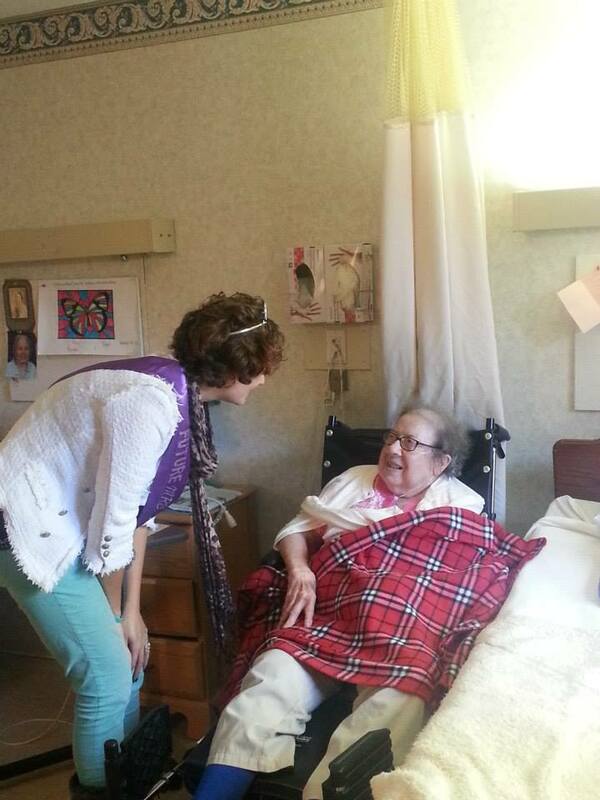 I only recently discovered this when I went to visit her in the nursing home during my bachlorette weekend in Galena. 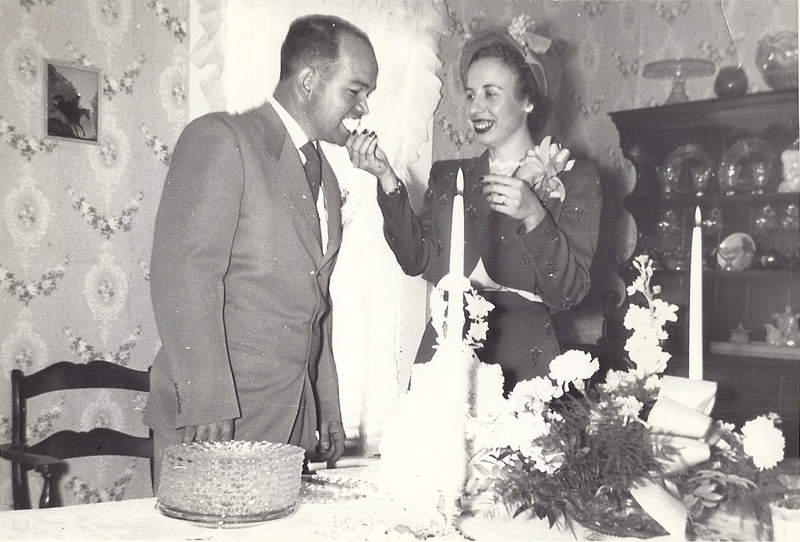 My MOH and I swung by to bring her a little tiara and some pie, and I asked about her wedding and marriage to Grand-dad who passed 26 years ago. He had been in the army, (so was mine! ), they were married by close friend, (so was I! ), and wait for it…she wore green! 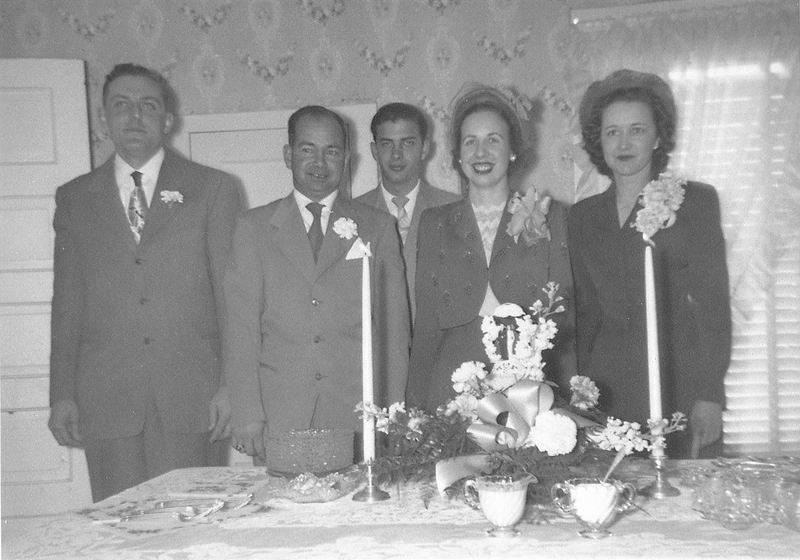 No white dress, those were the war-times honey and they were just so excited to get married and had a nice big cake and reception at their friends home, and she wore a green skirt-suit. Maybe white for you other guys, but it was a pronounced peacock for me! 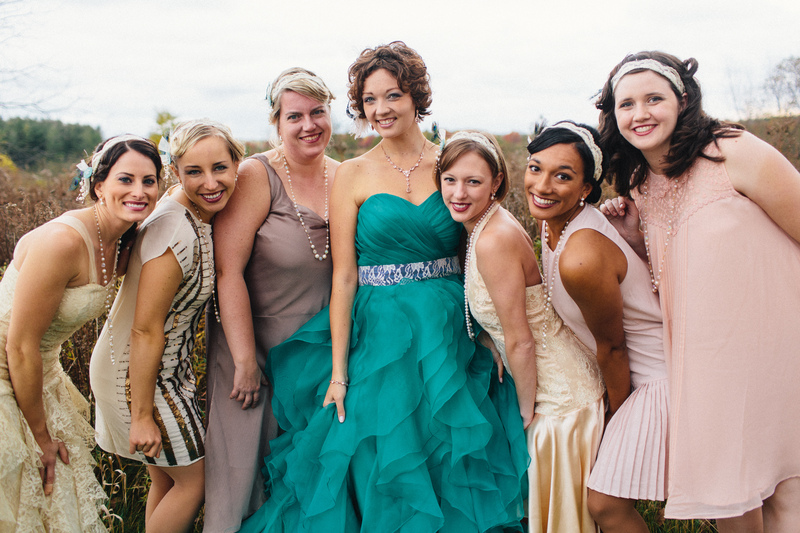 I hadn’t known this when I chose my own dress, and the thought that we shared even that small connection through time will long stay on my heart as a badge of honor. Wedding party, and friends beyond! She was independent, yet selfless, and made family matter. What? Women can do all that? She moved around the country with her husband’s work as a pastor, army, gaurd, never invoking a move for her own sake. Yet she always found a job, or volunteered in their community, and made trips to see family by herself after my grandfather died of battle with cancer. 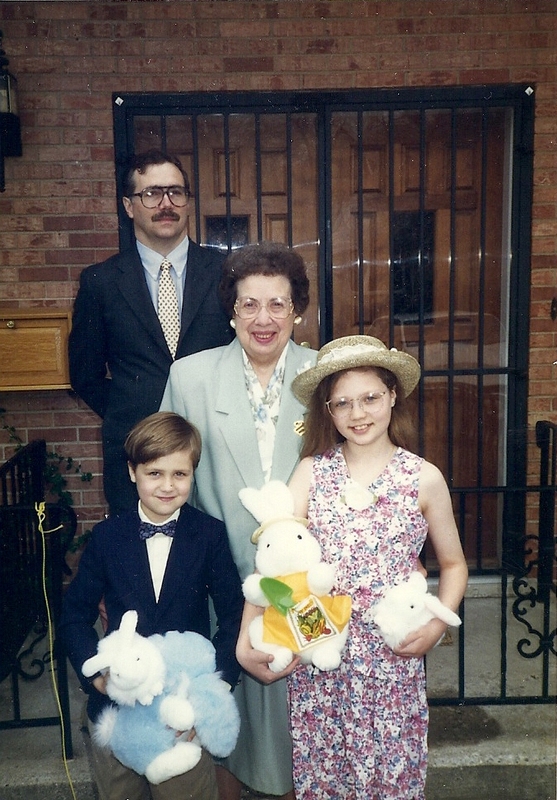 I loved when she would drive out to stay with us Easter weekends, dressed like the Queen of England in her Sunday suit, and help us find Easter eggs, make ham and pecan pies, and remembering all my parents friends at their local church. 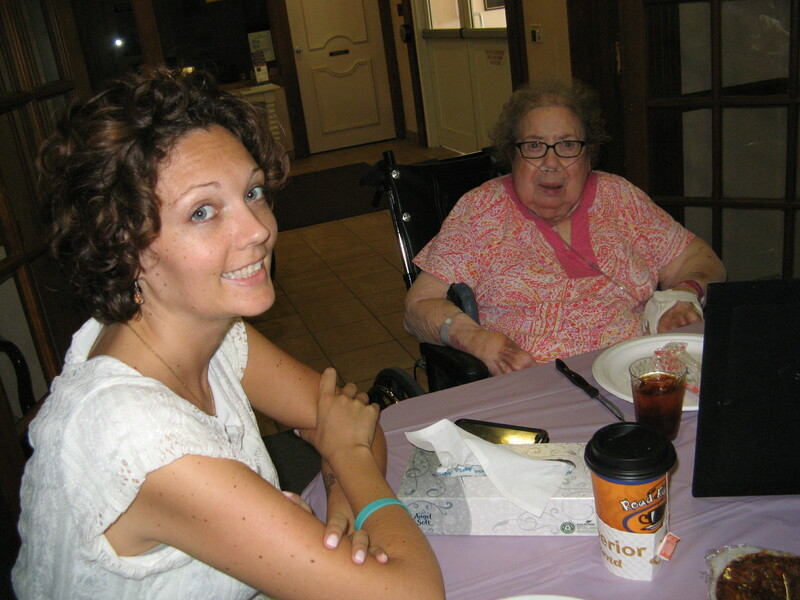 She also drove out for dance-recitals, birthdays, and all those times I went to the hospital as a kid, she took turns with my parents they could divide time with my brother and me. She was a spiritual mentor to me. You may assume that since her husband was a pastor, she had no choice, but I always found her faith to be her own. Her life left a little trail of bread-crumbs that seemed to always lead back to a loving God who was worth knowing. Grandma made it “ok,”, and even “cool” to ask about God. She gave me my first Bible, and was so supportive of my decision to be baptized when I was 8. 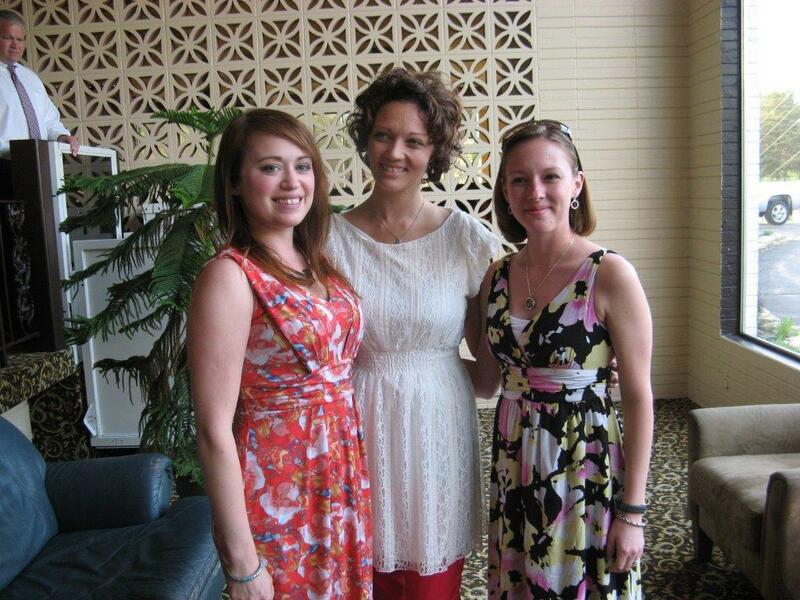 Later, she stood by me with pearl-bracelet in hand as I was confirmed in the church. To she and I, these weren’t just religious ceremonies. These were commitments I was making to the God who had saved me, and who she showed me sustained her. She met it with a smile. 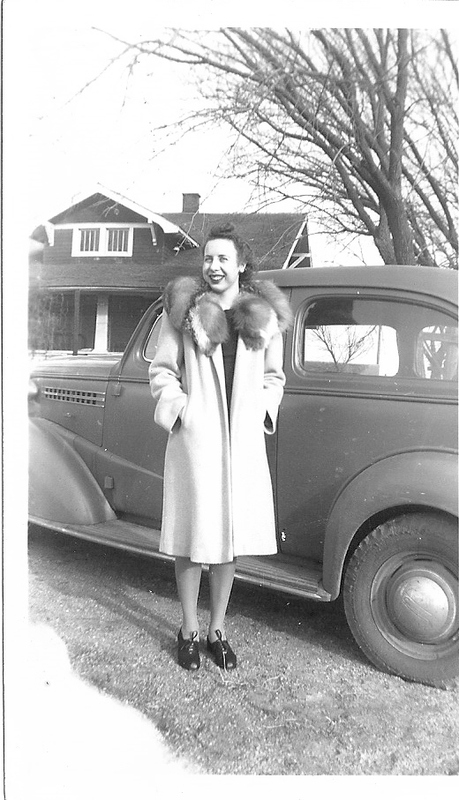 My grandmother was so good at being gracious and plucky regardless of the situation. She could jump right in with any conversation, and she often took my rudeness in stride and just kept right after me to behave myself. (I was a little impatient and willful as a child – can you believe it?) What has made us feel like we are a better person when we get crass or turn the rough edge to someone who may run us the wrong way? That wasn’t Jesus’ way. Grandmother had the strength and courage to keep on being her best self, and trust that others would learn to do the same. I’m trying to do better. Look Grandma, it’s for you! Finally, I’ll just share that this last season of getting married and moving so far away has been so much harder than I ever imagined. I’ve been sick so much of that time, and have struggled to stay in touch. Wanda had been in the nursing home for the last few years – finally giving up her little apartment and bright red car she loved so much, (again, where do I get my independence from? ), and about a month ago, my parents let me know she was transferring to hospice. I couldn’t bare the thought of not saying goodbye, of making sure that she knew I really missed all those weekends I was working and couldn’t come visit, that I remembered all she had done for me. So be the grace of friends, husband, and the Lord, I was able to make a trip to see her and the rest of our family over mother’s day. It was wonderful to be all together after I’d missed all the holidays, but the most precious moment was on Sunday afternoon, just one good friend and I stayed behind with a little card, and I tried to share with her as best I could what she meant to me. It’s never enough, and there just is never the words, and I didn’t want to make her feel like this was really, “IT”, just because I didn’t know when I’d make it back…but I think she understood. I think she got what I was trying to say, and that I was far away yet holding her so close. This pecan pie is soo good! The last time I spoke with my Grandmother, was the night before she passed. I was able to call her from my own hospital bed, and pray with her for just a few moments…and it was both heartbreaking and blessing at the same time. Later that night, as I lay in my own pain and prayed for her, I thought, she’s past all this. She get’s to go home, she’s done. She has lived a full life loving those around her for the sake of her Savior, and she has done it alone for many years. Now, she gets to rest. She gets to be taken care of, she is at Home with her husband, and I imagine them smiling together under the watch-care of the One who redeemed them there. And yes, Heaven is a sweet place to imagine when already filled with those we love. Until we meet again, Grandmother, I will try to do you proud.